This stunning ski resort will impress you both on and off the slopes. 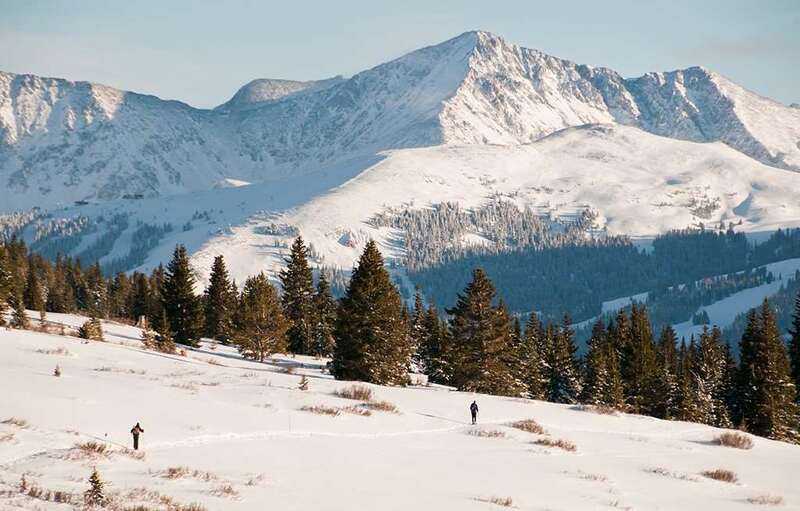 Copper Mountain is located in one of the best ski areas in Colorado. Itâ€™s an excellent ski resort with a superb high alpine terrain, which falls down in a natural arc into a gentle beginners area. Copper Mountain is a purpose-built ski resort, which is undergoing exciting improvements. Itâ€™s a fairly sized resort and it caters for all abilities. This ski domain has many positive aspects such as excellent snow reliability, efficient lift system and there are few queues. The people are also very friendly and helpful. There is lots of terrain that caters for expert skiers, especially at Copper Bowl on the backside of the mountain. Good intermediate skiers will find pleasure in the many long steep runs. Less skilled intermediates, and early intermediates can enjoy the on the middle section of the mountain, and the gentle cruises below the Union Peak on the right hand side. There are lots of great slopes for snowboarding, suitable for all abilities. There is also a terrain park and two half pipes that will satisfy all keen boarders. 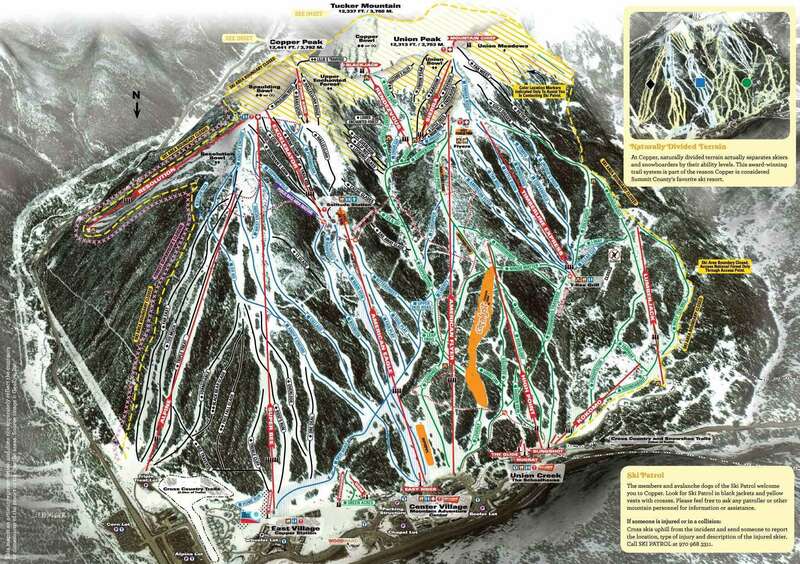 The easy access to Keystone, Breckenridge and Arapahoe Basin makes this an excellent choice for the skiers that are looking for a wide selection of ski areas. Also, as an extra bonus Vail, Steamboat and Winter Park are only an hour and two hours drive away. Copper Mountain continues to impresses off the slopes as well. The village is full of activities that compete for the visitorâ€™s attention. There is no chance of heading off to bed without using up every last drop of energy. You will find it too hard to resist another slice of winter fun.